Born at Nottingham, England on 1 June 1823, the son of Thomas Hind and Sarah Youle, older brother to William George Richardson Hind. He attended Queen’s College, Cambridge, but did not graduate. In 1846 he emigrated to Canada. In 1850 he married Katherine Campbell. They had four children. 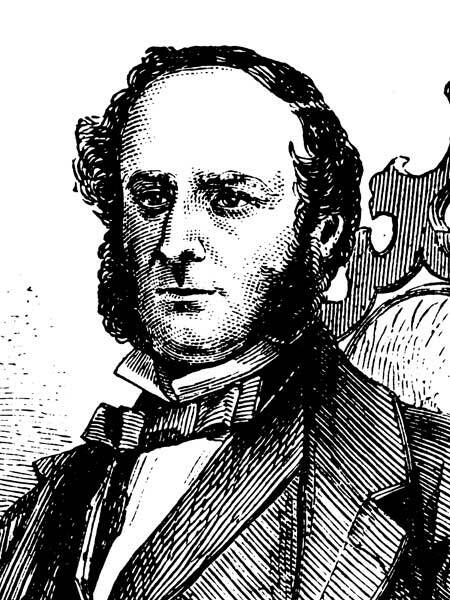 In 1851 he became a member of the Canadian Institute, and in 1852 became first editor of the Canadian Journal: Repertory of Industry, Science and Art, Canada’s first scientific journal. He received the degree of MA from Trinity University, Toronto in 1853 and that of DCL from King’s College, Nova Scotia in 1890. From 1848 to 1853 he served on the staff of the Ontario Normal School in Toronto as lecturer in chemistry and mathematics; from 1853 to 1864 he was professor of chemistry and geology at Trinity College, Toronto. In 1857 the Canadian government appointed him geologist and naturalist to accompany an expedition directed by George Gladman, with instructions to examine the country between Lake Superior and the Red River, to determine the best route between the Lake and the Red River Settlement. In fact, Hind became the expedition’s leader. He was instructed that “the objects to which your attention is requested are of a general nature, comprising a description of the main geological features of the country you traverse and whatever pertains to its natural history which you may have an opportunity of observing and recording.” He was in command of the Assiniboine and Saskatchewan Exploring expedition of 1858. His observations on the region -- published for popular consumption in 1860 as Narrative of the Canadian Red River Exploring Expedition of 1857 - proved poor geology but first-rate travel literature and propaganda on the value of the West. He subsequently commanded the Labrador Expedition of 1861. In 1864 he made a geological survey of New Brunswick, and in 1869-1871 a survey of the gold fields of Nova Scotia. In 1877 he served with the International Fisheries Commission then sitting at Halifax. In 1890 he became president of a church school at Edgehill, Nova Scotia. Hind died at Windsor, Nova Scotia on 9 August 1908. He is commemorated by Hind Avenue in Winnipeg. The effect of the fisheries clauses of the Treatyof Washington on the fisheries and fishermen of British North America, Halifax 1877. Henry Youle Hind, 1823-1908 by W. L. Morton (1980). Henry Youle Hind, Dictionary of Canadian Biography XIII, 471-74.